Montanans are showing their True Colors when it comes to welcoming guests. With the current “partial Government Shutdown” ongoing, our local National Parks and public lands are understaffed but open. Stores and offices are closed but the public sanitary facilities remain open. On a recent trip through several access sites, and northern Yellowstone Park crowds were light, the parks were clean, and a crew of volunteers from Gardiner, MT were maintaining all the vault toilets around Mammoth. There was plenty of paper, all was clean, and even graffiti was being addressed. I did not see mountains of trash, piles of human feces, and crazed unsupervised tourists running amuck. 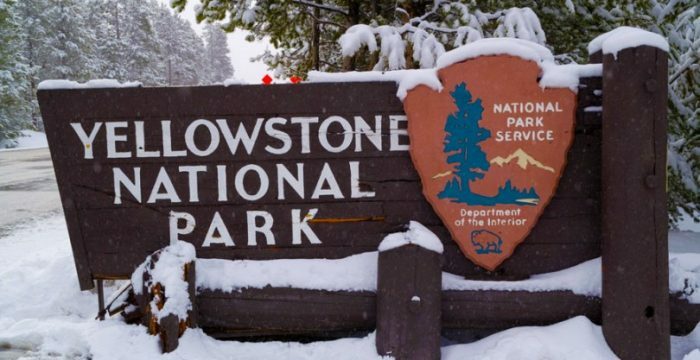 Recently, the Yellowstone Park management team has diverted additional funds from camping and park fees to pay for staff and maintenance. This will ensure a safe and exciting trip to our wonderful park. Montanans take pride in our gateway open spaces. They reflect our character, manner, and nature. I also noticed that the trash cans were empty and saw several folks carrying out their own trash. It would be nice to see our elected officials, from both parties, setting this kind of example. No one was bad mouthing the choice to put funding on hold. They were stepping up to meet a need that helps everyone celebrate our parks, our state, and our country. For more Montana Grant, find him enjoying our parks at www.montanagrantfishing.com.